THANK YOU to all who already contribute to our school, the LaSalle Language Academy, by donating to or helping raise funds for the Friends of LaSalle (FOL). It's the dedication of the LaSalle community that raises needed funds to enhance our children's education. Thank you for making all of this possible for our children and their teachers. The FOL is preparing for the 2019 LaSalle annual auction and fundraiser event. We are asking all community members to solicit items for the silent and live auctions. We hope that all families will work to solicit or donate at least two items. 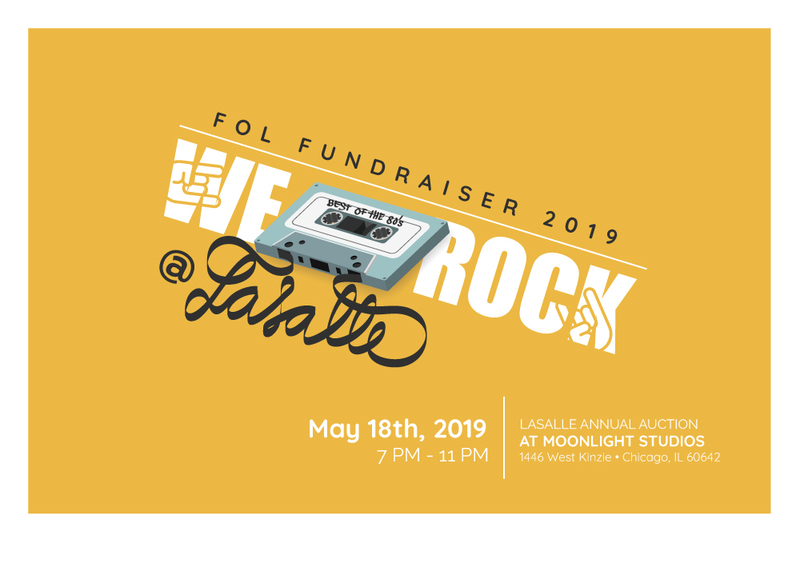 - SAVE THE DATE - The LaSalle Annual Fundraiser is May 18, 2019 at Moonlight Studios. Drop off items at the office, making sure to write, "Attn: Friends of LaSalle Auction" on the envelope/package. If it is something that can't be sent to the office, please contact Kaisa Katz (kaugekatz@gmail.com or 312-545-5047) to arrange for pick up. Thanks in advance for your help, and please reach out if you have questions, ideas or need help with anything.